Now 24, Dale was given little chance of living when he contracted meningitis at six months of age. That left him with acquired brain injury and multiple permanent disabilities but his mother, Karen Spring, wasn't going to let any of that stop Dale from leading a full life. She introduced him to horses and his ability has been shining through ever since. "He has been very driven and determined all his life and so for the past 13 years that is what we've been working on." 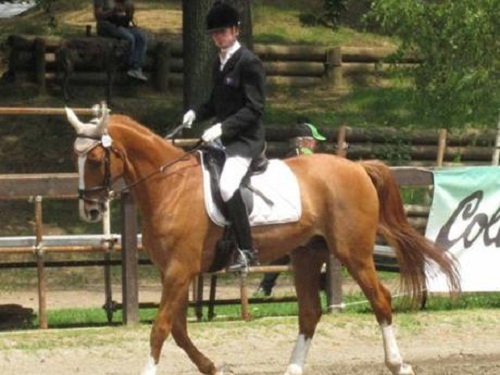 Dale is now an Internationally Classified Grade 2 Para Equestrian Dressage competitor and has an International Dressage Competitors Licence and a Grade 2 world ranking of 14. On his return Dale rode for the Riding for the Disabled (RDA) NSW state team and gained first place for Grade 2 at the National Para Equestrian Championships at Werribee Park, Victoria. Then at the International Para Equestrian Dressage event, Dale was rewarded with first, second and fifth placings. Now he is a strong contender for the Australian Future Para Equestrian squad. Dale's quest for Paralympics selection in his sport of choice doesn't come cheaply and Karen, as a single mum, is appealing for financial support and assistance.